The imaginExtreme Barcelona has already proclaimed the first winners of the 8th edition. Kayla Carmichael in inline women’s park and Gabi Muñoz in Men’s Streetboard have taken the gold medal. On Sunday, up to 11 finals of the skate, scooter, BMX, inline and longboard modes will be held, where you can see the level of the world’s elite action sports. The imaginExtreme Barcelona 2017 already has its first medalists. On a spectacular Saturday with thousands of attendees, the city’s action-culture and urban culture festival has crowned women’s inline park champions, british Kayla Carmichael, and male’s streetboard, local rider Gabi Muñoz. 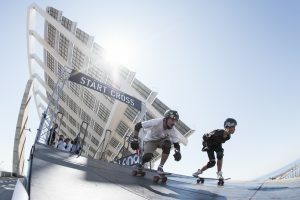 The female inline park and the male Streetboard have been the two competitions that have celebrated the final on the first day of the 8th edition of the imaginExtreme Barcelona. The girls of inline have fight in the Central Park that has a really big size. The british Kayla Carmichael has won the gold medal after completing an almost excellent round. The basque rider Mery Muñoz has climbed to the second step of the podium and the brazilian Tales Colares has closed the top3. In Streetboard, the great discovery of the last edition, the local rider Gabi Muñoz has put the whole public standed up. Muñoz has delighted us with a figure that last year tried without luck. This year, he has been able to land the double backflip and thus has taken the gold medal. The silver has been for Sergi Nicolas and the bronze for Tancrède Leca from Marseille. 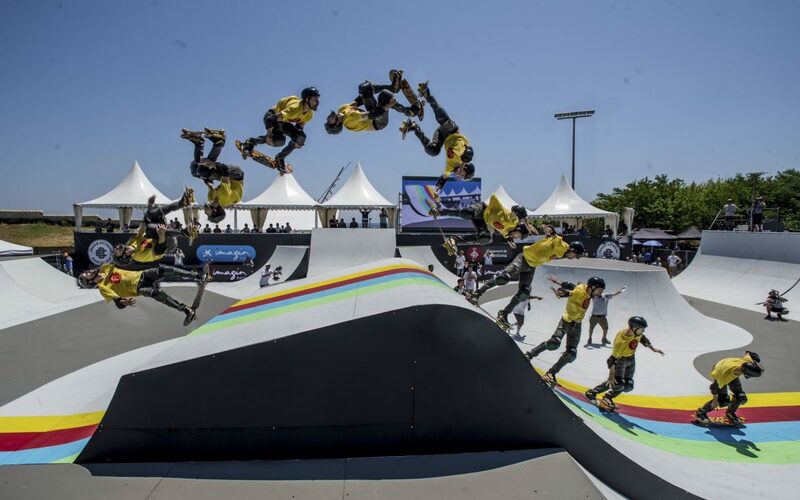 Beyond these two endings, the imaginExtreme Barcelona has hosted on Saturday the qualifying and semifinals of other modalities (BMX, scooter, skateboard and longboard). This means that the riders have already demonstrated much of their potential but they still have a lot to show. On Sunday a total of 11 finals will be held in the three sports facilities that the imaginExtreme Barcelona has created specially for the occasion. The main stage, Central Park, will host on Sunday the men’s and women’s BMX final, the men’s inline park and the MGP and scooter final. 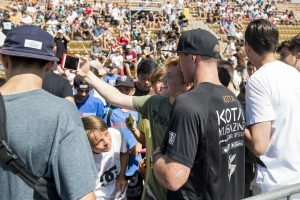 The latter two are undoubtedly two of the competitions that will leave the public stoked, as we will have a selection of the best riders in the world. The BEO park will host the junior, female and male skate finals. Finally, the Cross Track will host Scooter cross, longboard cross and inline cross. If with all the competition is not enough, the imaginExtreme Barcelona is also a space to enjoy with friends or family. The campus has about 3,000m2 of facilities for practice and initiation to action sports, as well as slackline and parkour exhibitions. In addition, in the middle of the street Market – where there are about thirty shops – we find the Music Stage with a score of musical groups and DJ’s. Tickets for the 8th imaginExtreme Barcelona are available on the website www.imaginextremebarcelona.com. All those who buy them until Friday the 16th will be able to enjoy the advance discount. It should be remembered that children under 5 have free access, children between 6 and 12 years old a 50% discount, that special promotions have been created for families and groups of friends. In addition, imaginBank, Family and CaixaBank customers will have unique discounts. imaginBank is the first mobile-only bank in which the operation is done exclusively through mobile apps and social networks. It is a step forward in CaixaBank‘s innovation strategy, recognized internationally as one of the leading entities in the application of new technologies to financial services. imaginBank gathers the experience of CaixaBank as a leading entity in technological innovation and in service to the young target. For this reason, it offers its support and gives name to the imaginExtreme Barcelona event. The support of the Barcelona City Council through the Institut Barcelona Esports as the main collaborator and the sponsorship of CaixaBank are essential for the imaginExtreme Barcelona to have achieved a great success and consolidation in the previous seven editions.